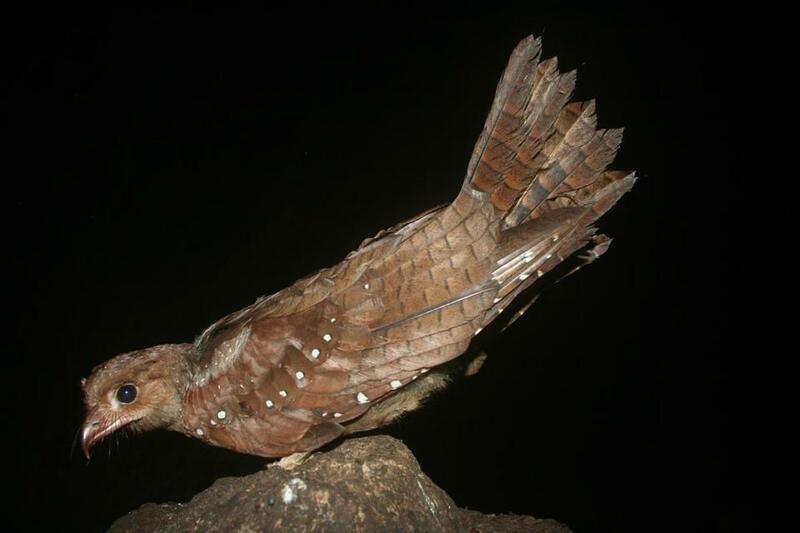 The South American oilbird, photographed here in Humboldt’s Cave in Venezuela, is the planet’s top-ranked most evolutionarily distinct bird species. In the face of a massive extinction crisis, conservation biologists have made all sorts of lists -- a sort of who’s who of endangered, threatened, and vulnerable snakes, bugs, birds, and mammals that could wink out of existence as their habitat vanishes or their traditional food becomes scarce. But which species should be at the top of the priority list for saving, and which last? Should they be ordered by scarcity, by economic importance, or even by cuteness? In a paper published in the journal Current Biology on Thursday, a team led by a Yale University ecologist has used a new measure to rank birds: which ones hold the greatest evolutionary information. The researchers have calculated the “evolutionary distinctness” of 9,993 bird species, identifying those birds that are so far out on the branching tree of life that to lose them would be to lose millions of years of nature’s work. Then, they factored in the geographical range of the birds, identifying those species that pack the most evolutionary history per acre -- such that preserving even a relatively small patch of land could have a big impact. But there were surprises, too, of birds that seem less exotic: the red-throated loon ranks high on the evolutionarily distinct list, as does the osprey. The researchers cross-referenced their list with the International Union for Conservation of Nature’s imperiled species list, to rank birds by evolutionary distinctness and rarity. To their relief, the most evolutionarily distinct birds are not necessarily imperiled -- only 4 of the top 50 most distinct species were on the list. The authors created the rankings in the hopes that it would spark a worldwide discussion about how conservation funds should be spent. With suitable trees for other species as a starting point, the method could be extended to other plants and animals. In the case of plants, for example, evolutionarily distinct plants might be of even more interest because their unique biochemical properties might inspire products or drugs. Reed, the Tufts biologist, said that prioritizing species to save is complicated, but that evolutionary distinctness has a sound basis -- both for the public, whose attention and interest is often captivated by the weird creatures of the world, and for scientists. But he noted that the ranking system is the beginning and the ranking method won’t capture everyone’s values. For example, in the spring, dozens of types of warblers make their way north and pass through Boston. There are many species of these small, sprightly birds, and birders revel in identifying different ones. But there are so many closely-related warblers, Reed said, that saving just one out of dozens of species would be sufficient, if one were simply looking to preserve evolutionary distinctness. The enormous variety of warblers that bring many people such delight would fall quite low on the list.